Railpictures.ca - Robert Farkas Photo: In 1974 Nelson, British Columbia was the home base for many of CP’s remaining CLC (FM design) locomotives. I have heard the yard is long gone now, but back then railfans from all over were welcomed in Nelson. | Railpictures.ca – Canadian Railway Photography – photographie ferroviaire Canadienne. 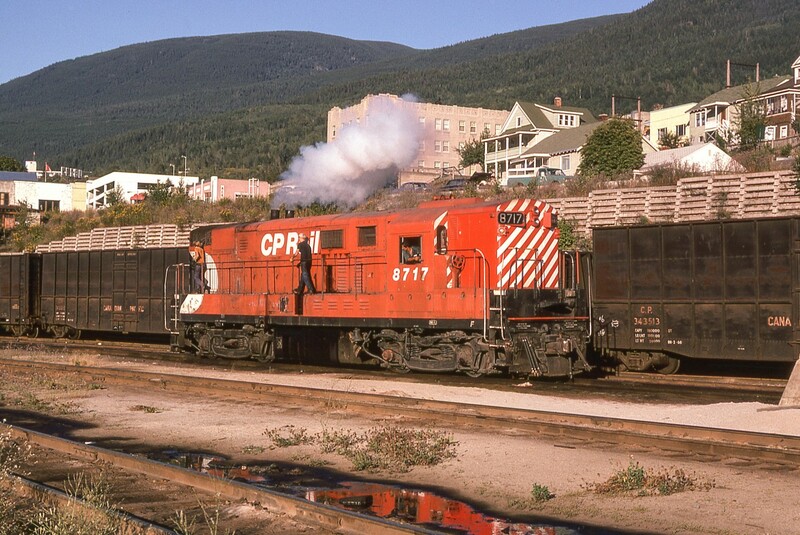 Caption: In 1974 Nelson, British Columbia was the home base for many of CP's remaining CLC (FM design) locomotives. I have heard the yard is long gone now, but back then railfans from all over were welcomed in Nelson. The angle of the sun is absolutely perfect. My first visit there was in Sept of 1974 but I was unlucky, I guess. Didn’t see one of these units. (Somebody told me I had to go to Trail) This is a great shot, with the mountains and all. Gorgeous country.